After discovering Meigs Falls in the Great Smoky Mountains National Park, we continued back toward our Tennessee resort - and couldn't resist stopping again at the sight of The Sinks. 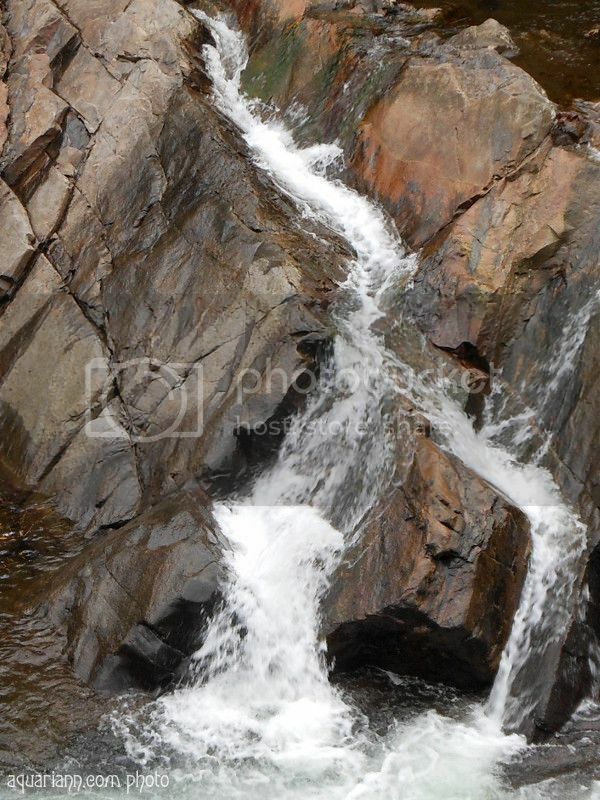 Water falling over rock is so captivating! 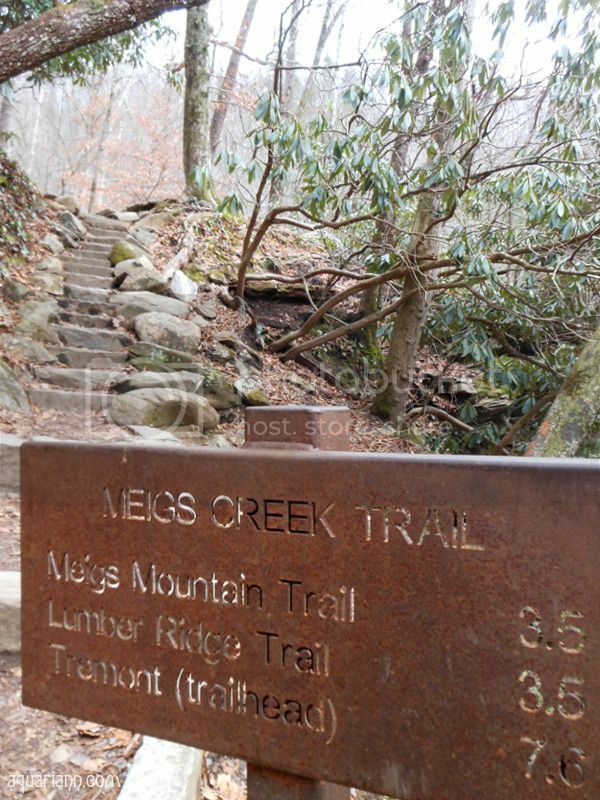 I took a photograph of the Meigs Creek Trail sign to remember to explore that pretty path more if we ever get to go back during a season when it's warmer. That is so beautiful. Very nice shots. This looks like a gorgeous trail. It must be really nice to go on a trail and see such a gorgeous waterfall. Great photos. I would love to hike around there. I love waterfalls. Beautiful shots. I have never visited Tennessee before but that waterfall certainly looks peaceful! Happy New Year to all and Happy Wordless Wednesday! I linked up, I of course am not so wordless today! Beautiful photos especially since we've got below 0 temps and snow. What an amazing trail! This makes me want to go out and explore. Well as soon as it warms up a bit! Great spot for a picnic in the wild! I love the little stairs! I finally joined in on WW. Thanks for the linky!! Beautiful! I've been thinking the Husband and I need to go hike and see waterfalls before they are no more this year. Wow, so pretty! I've never been to Tennessee, but just looking at the photos, it seems like a place I'd like to explore! 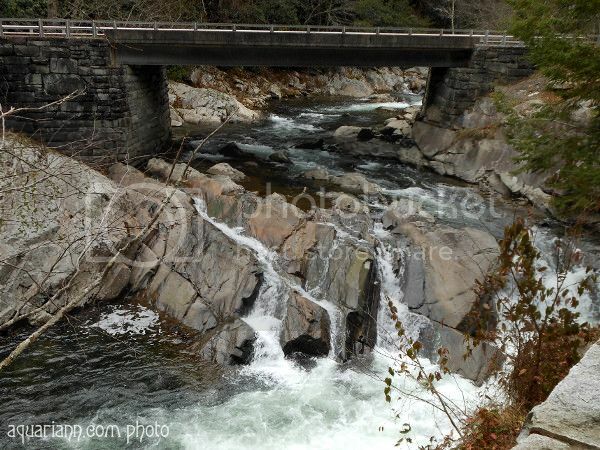 I love trying to capture running water -- it's so tricky. nice job! lovely trails with nice view...I love to see the waterfall and I haven't been to Tennessee area so it's good to have great reference here.. I thought that looked like the Smokies! Nice pictures! !